"A spicy sauce that is great with vegetables, chicken, or beef." 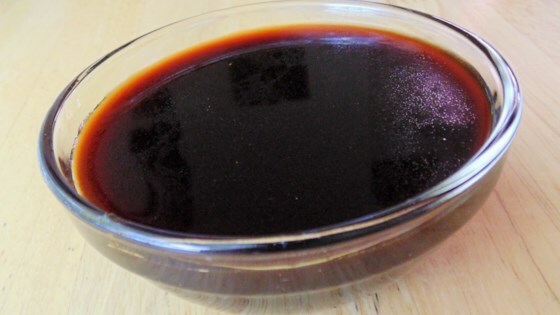 Mix soy sauce, oyster sauce, rice wine, sugar, and white pepper together in a small saucepan. Cook and stir over medium-low heat until heated through, about 5 minutes. Mix water and cornstarch together in a small bowl. Pour into the saucepan; simmer until sauce thickens, about 5 minutes. See how to make a spicy, sweet-and-sour sauce for Korean fried chicken. Substitute sherry for the rice wine if preferred. If using in a stir-fry: Stir fry your choice of vegetable or meat. Add the mixture from step 1; toss to coat. Dissolve cornstarch in water; stir into the pan and cook until thickened, 3 to 5 minutes.